4 Tierra Linda micro loans recipients visited. 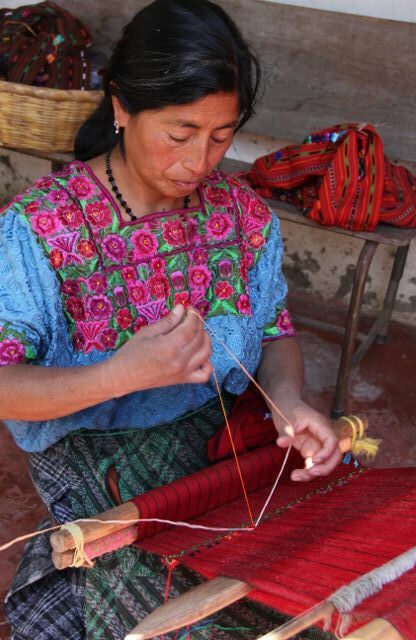 Paso Por Paso members visited Tierra Linda and visited 4 of our micro loan recipients. Blanca does detailed and delicate bead work such as Cleopatra-inspired necklaces and woven bracelets. Each necklace takes about 3 days to make and she sells each one for 25 Q (about $4). Most are made to order. Blanca, her mother and her sister all have babies about the same age living in the home. 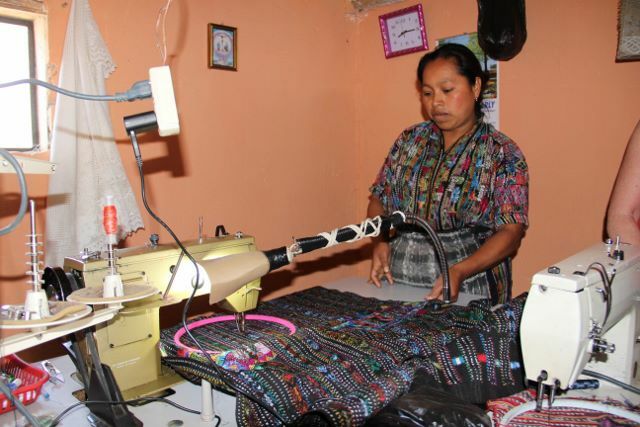 Maria Ben used her loan to buy a sewing machine. She uses it to sew intricate patterns on the huipils that her daughter makes. 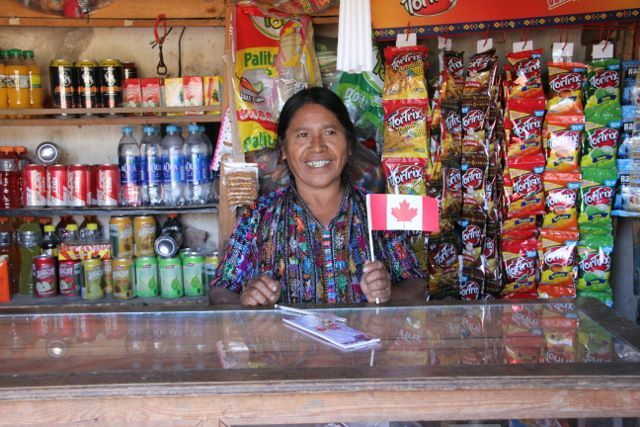 Julianna used her loan to open a store in Tierra Linda. She used to harvest onions but got sick and couldn’t continue with that. The store is stable money and she is able to work out of her home where she has 2 special needs children to care for. 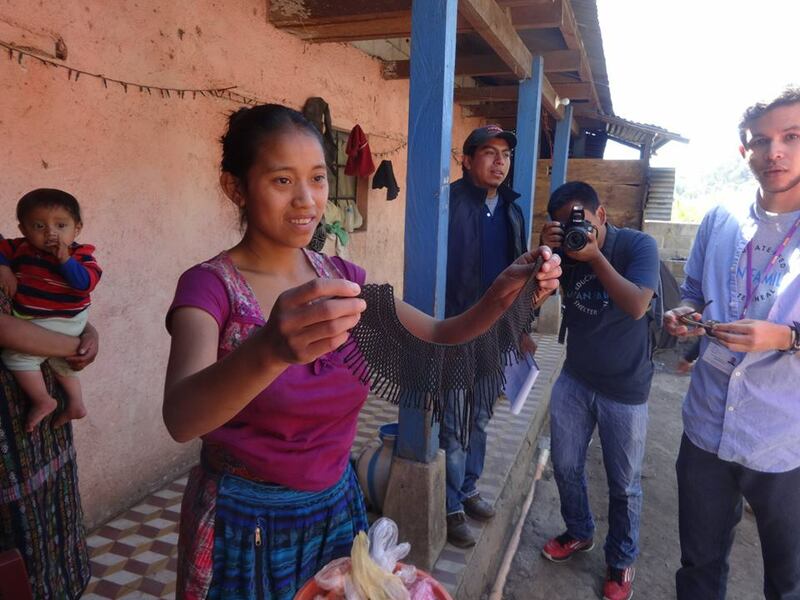 Baleriana received her first loan last February and weaves huipils and makes bracelets. It takes about a month to make a huipil and she sells smaller ones for Q350 ($60) and larger ones for Q500 ($80). Her loan allowed her to expand her existing business.